It’s freezing. The sun is slowly clearing the crater wall, turning the volcano an intense deep orange. The slopes look like they’re on fire, which they once were… a long time ago. This intensity won’t last long, but the volcano won’t lose it’s power to impress. 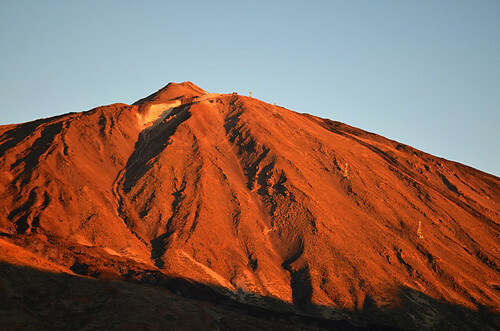 In a short time the sun will fill the crater with warmth, even though the air temperature will only be around 2C. Less than forty kilometres away it will be 20C.